If you're an "advanced" blogger or blog follower, you can just ignore this message. This is geared towards my friends where this whole blog business is completely new to them. The one question I always get is: "How am I supposed to know when you update your blog?". To be honest, when I first joined the blog world, I had no clue how to "follow" someone or that there was a "dashboard" other than the one in my car. 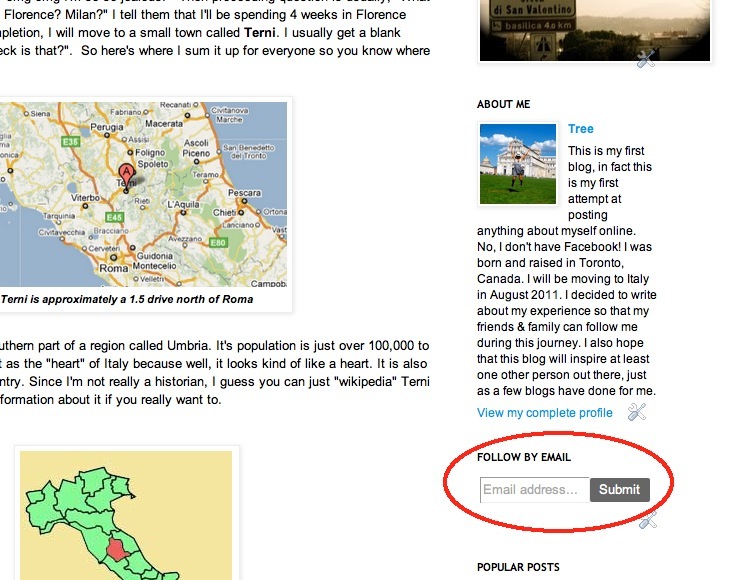 So for simplicity's sake, just use the "follow by email" box on the right and type in your email address. 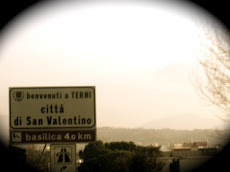 You'll receive a lovely email from "Toronto to Terni" when there's a new post. Simple enough right? If not, you know my number. Call me.